What better time for players to get the benefits they’ve already earned through The Trust than right now? I recently sat down with Hannibal Navies, Director of Engagement and Outreach at The Trust, who spent nine seasons as a player in the National Football League. 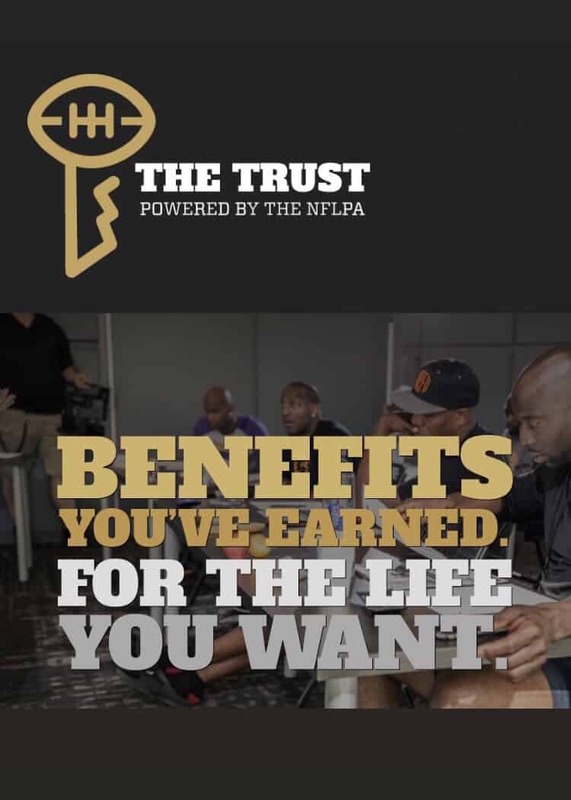 The Trust (powered by the NFLPA) provides transitioning football players with the support they need to ensure their success off the field and in life. The mental health resources and benefits include counseling sessions, and residential treatment. The NFL Life Line was also created as a resource for current and former NFL players, coaches, team, league staff and family members available 24/7, 365 days a year. The Trust also provides resources and benefits in career, education, finances, business/entrepreneurship, nutrition/fitness and medical/wellness. One of the biggest barriers to NFL players getting help is resources and support. The Trust provides both. At GROW counseling, we can assist you with processing the mixed emotions that commonly accompany a player’s decisions after the game is over. We can help identify when the timing is right for you, and guide your next steps to the help you need. To learn more about The Trust, please visit their website. Thank you to The Trust and Hannibal for a very insightful meeting!